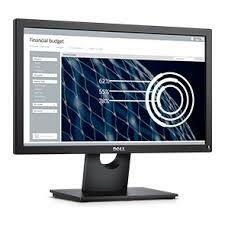 Screen performance: View your applications, spreadsheets and more on 47.01 cm (18.51 inches) of 1366x768 HD clarity, with 16.7 million colours, a colour gamut of 85 percent1 and a 90° / 65° horizontal / vertical viewing angle. Convenient controls: Easily access buttons for power, brightness, contrast and customizable preset modes. on the monitors front panel.